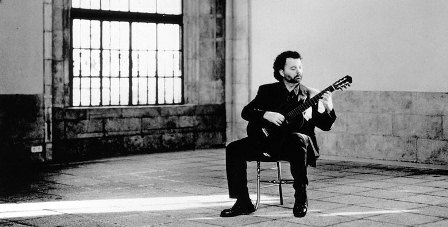 Cuban classical guitar virtuoso Manuel Barrueco will perform live concert at 7 p.m. Saturday, March 10, at the Ramekins Culinary School, 450 Spain St., Sonoma. This event is a collaboration between Ramekins owners Sarah and Darius Anderson and Saul Gropman, owner of Sonoma’s Cafe La Haye restaurant and former classical guitar instructor at San Francisco State University. Gropman stuied with Barrueco at the Manhattan School of Music, where Gropman received both bachelor’s and master’s degrees in music. Gropman and Barrueco have been looking for an opportunity for Barrueco to perform in Sonoma, and this is it. Barrueco has toured in the U.S., Europe and Japan, and serves on the faculty of Peabody Conservatory in Baltimore, Maryland. The guitarist has appeared on television on CBS’s Sunday Morning,” A&E’s “Breakfast with the Arts, and Mister Rogers’ Neighborhood on PBS. Barrueco has made well over a dozen recordings for EMI. Last year, he was nominated for a Latin Grammy Award for best classical album. The evening’s program opens with a cash bar and closes at 9 p.m. with a reception for the Barrueco.